This tutorial will guide you on how to complete your SSL purchase. 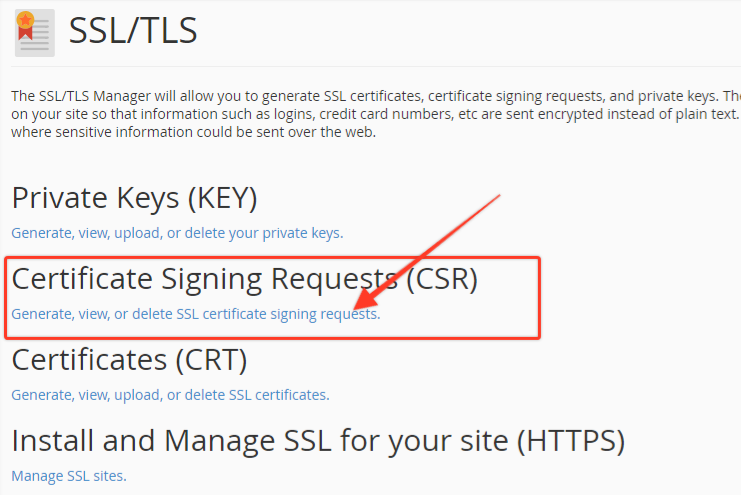 Under "Certificate Signing Requests (CSR)" Click on "Generate, view, or delete SSL certificate signing requests." Domains: Enter your domain name that you wish to install the SSL for example "abc.com" or "www.abc.com". Please enter only one. Company Division: For example "Sales" or "Marketing"
Please copy the enter CSR into a notepad or text editor for later use. Go to Client Area -> Services -> My Services -> Look for your SSL service -> Click on "View Details"
Now click on "View Certificate Details"
For webserver type select "cPanel"
Copy and Paste the enter CSR code into CSR field. Click on Continue, you will reach a page which ask you to select a validation email address. Please select the one that is working. Usually we recommend customer to use admin@abc.com . Please make sure this email has been created in your cPanel. After that, click Continue. In few minutes time, you will receive an email from SSL Provider to your admin@abc.com for approval. Please click on the link in the email and approve it. Once you approved it, you will receive another email with the Certificates code and INTERMEDIATE CA. Now login back to your cPanel -> SSL/TLS Manager -> Private Keys (KEY) -> Generate, view, upload, or delete your private keys. 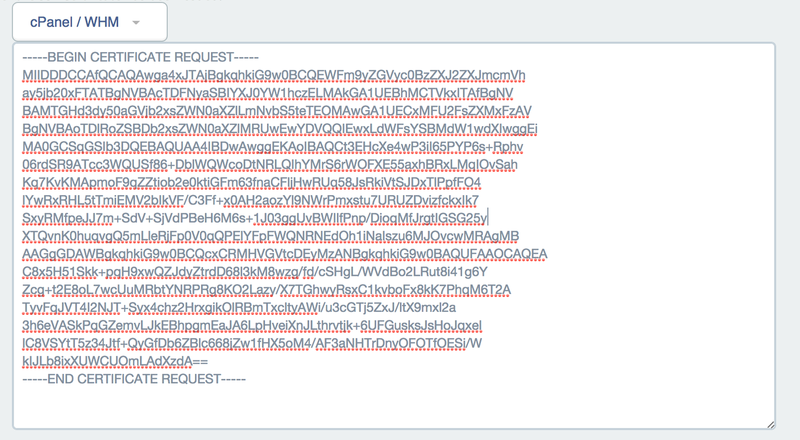 -> Click on View and Edit -> Copy everything inside "Encoded Private Key:" Text box. Click on "Install Certificate" and done.